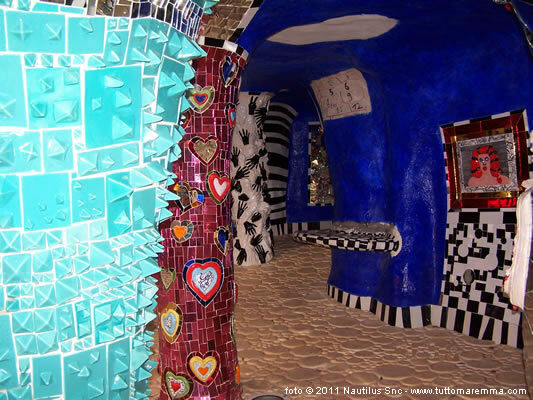 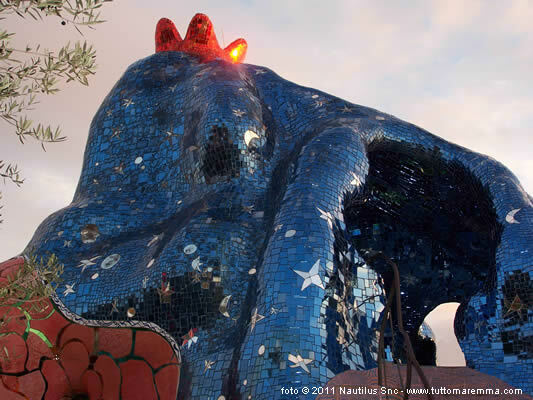 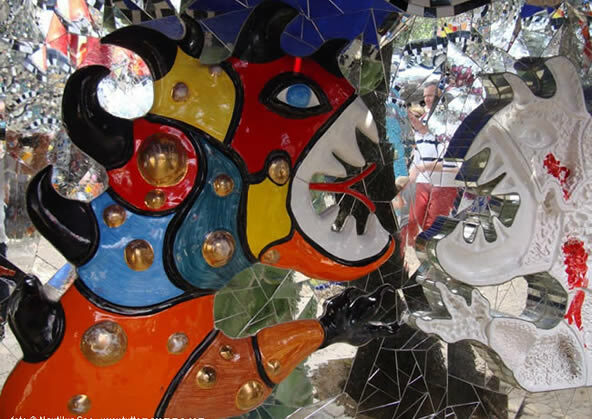 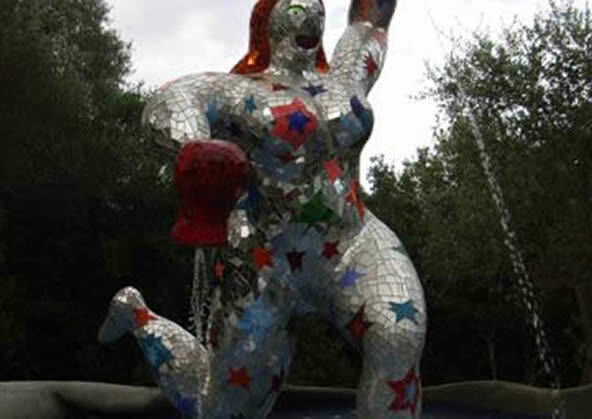 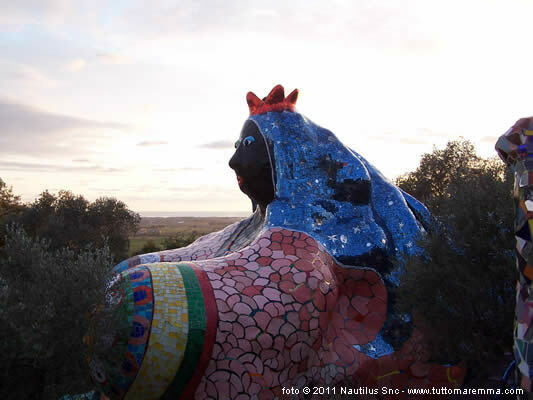 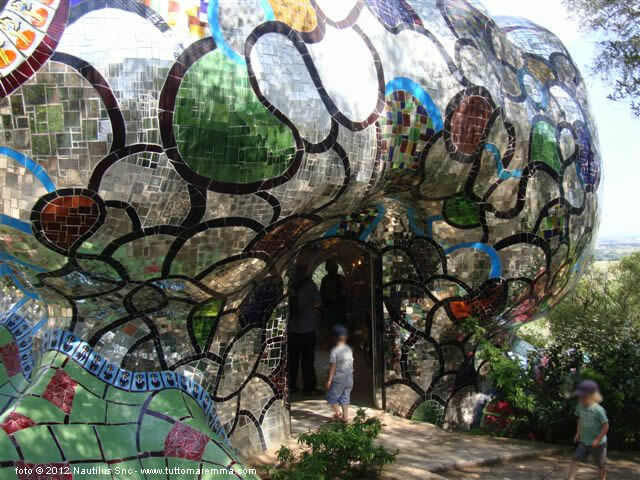 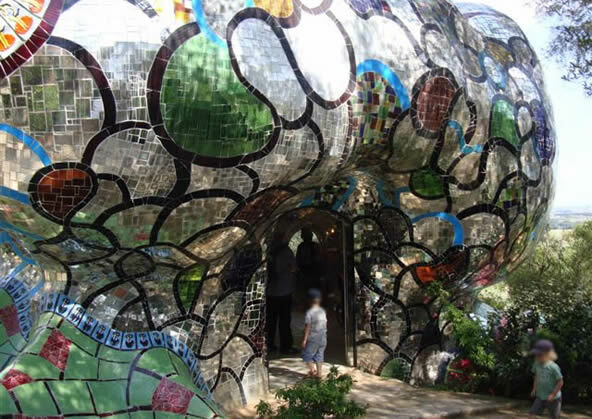 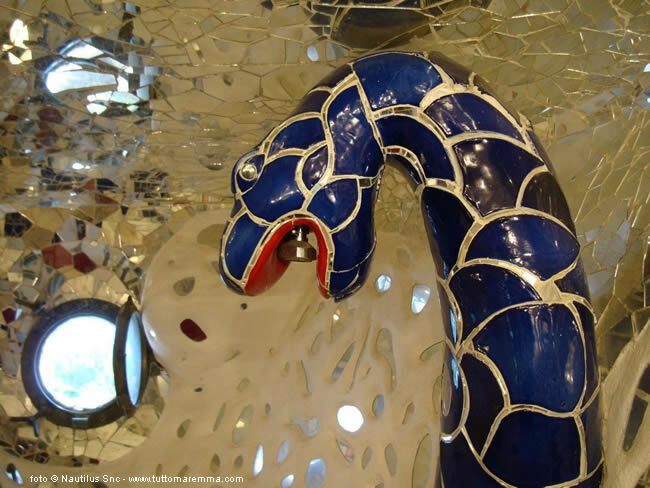 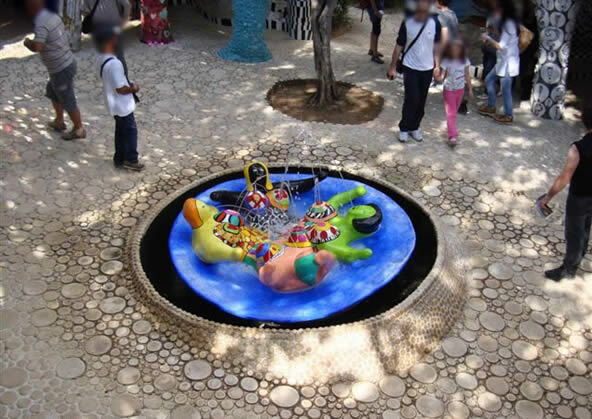 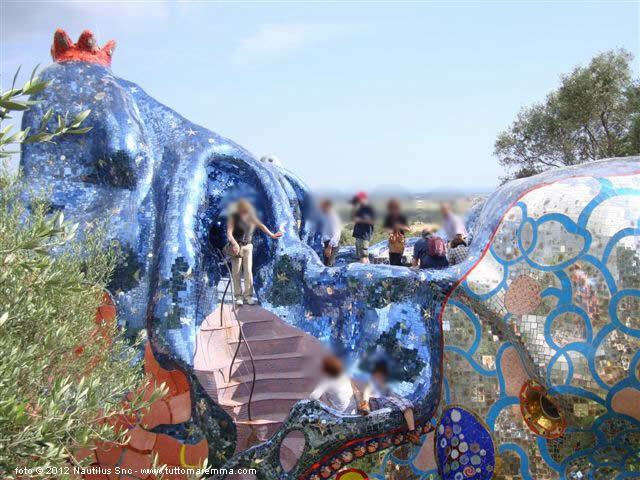 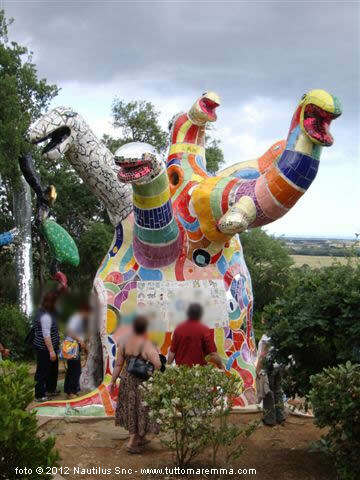 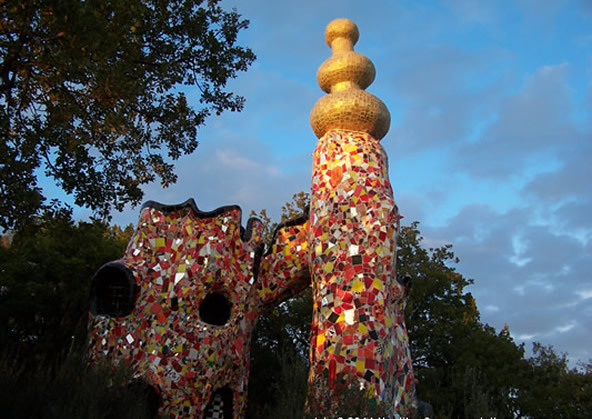 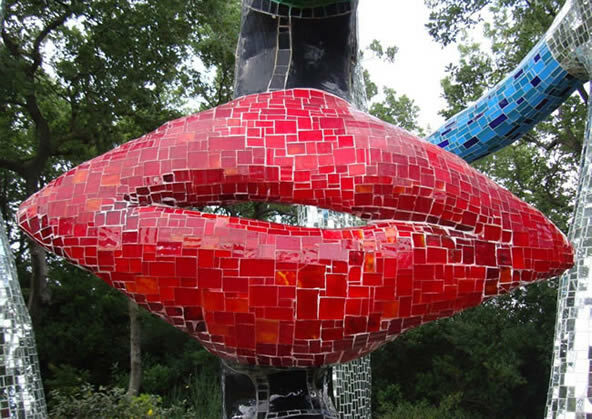 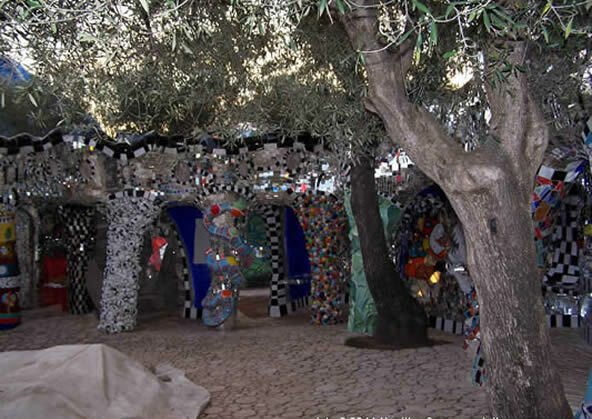 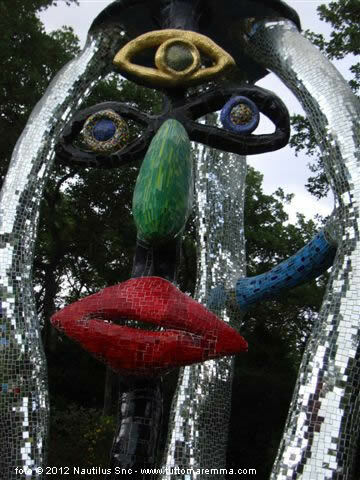 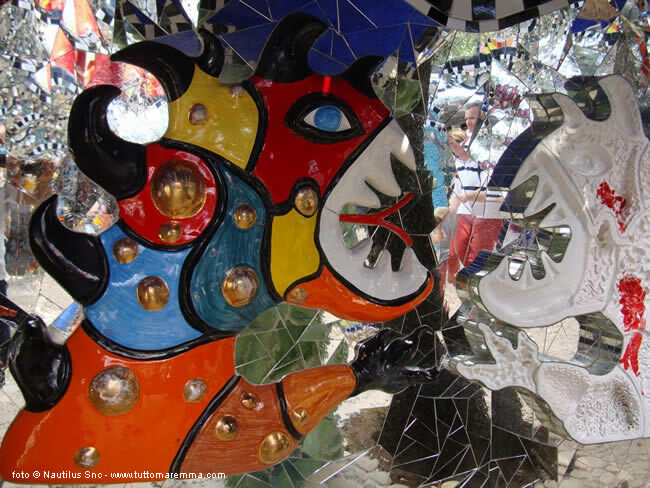 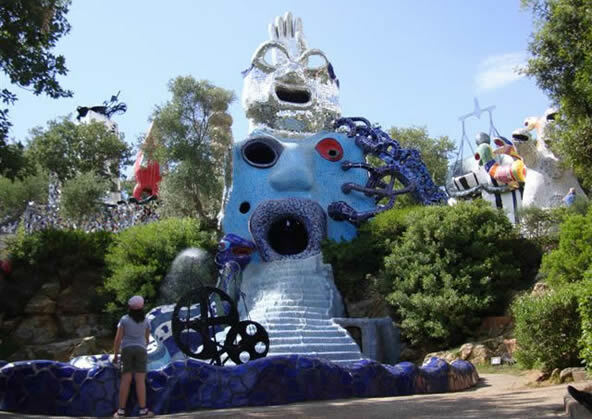 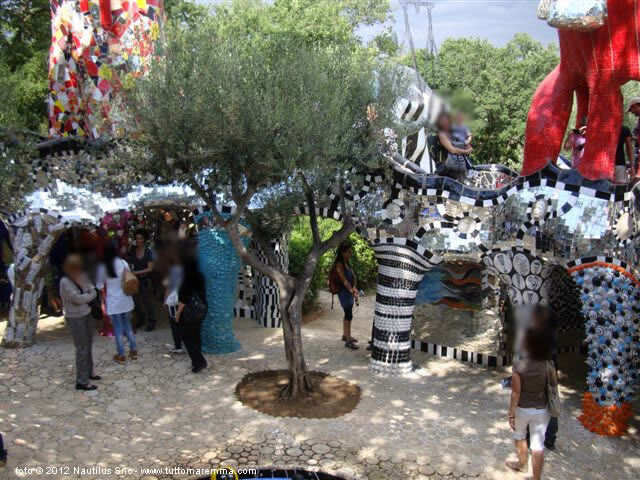 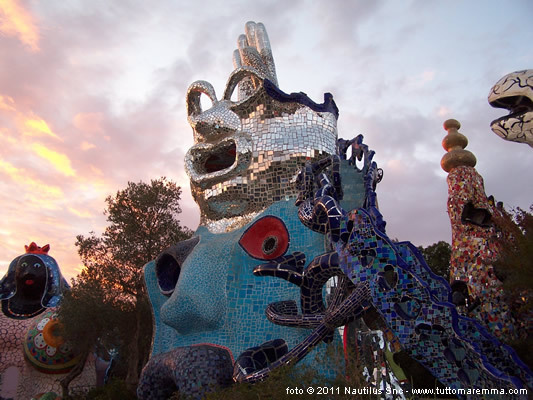 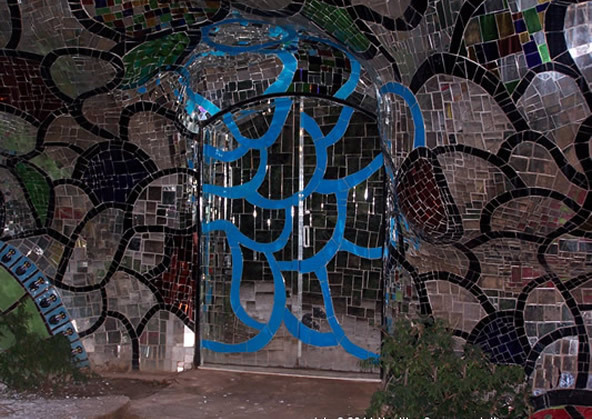 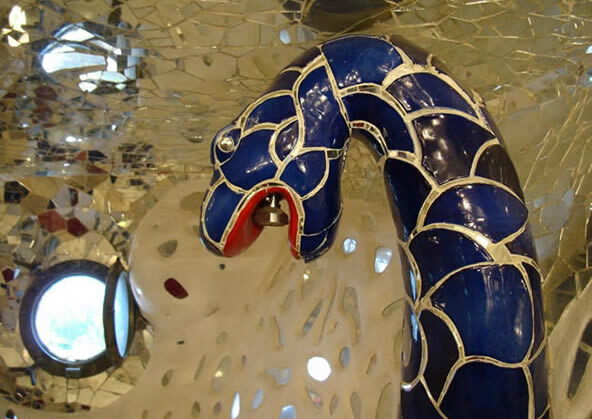 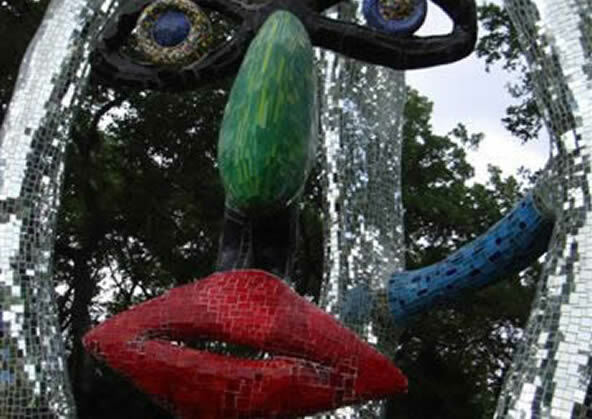 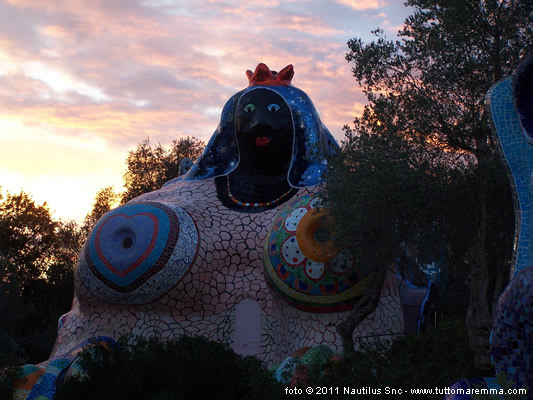 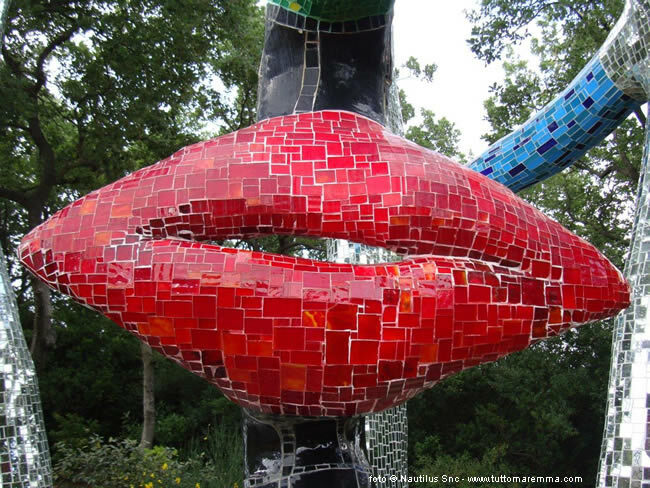 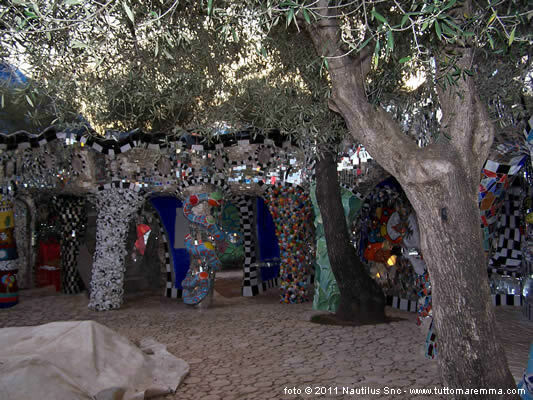 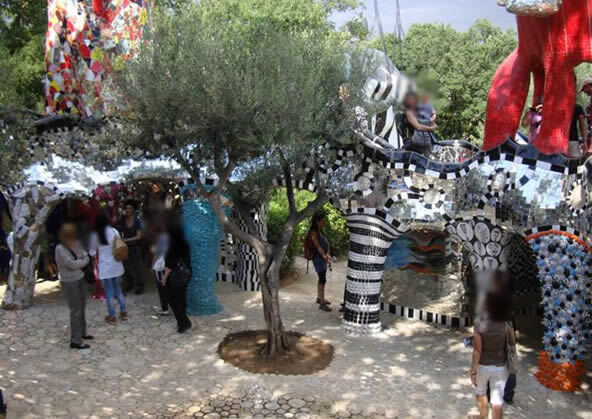 Tarot Garden: artistic park in Capalbio created by Niki de Saint Phalle. 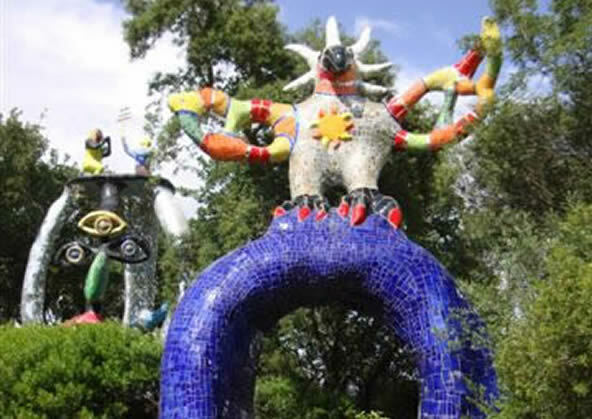 The Tarot Garden is an artistic park composed by monumental sculptural (12/15 metres high) inspired at the Tarots. 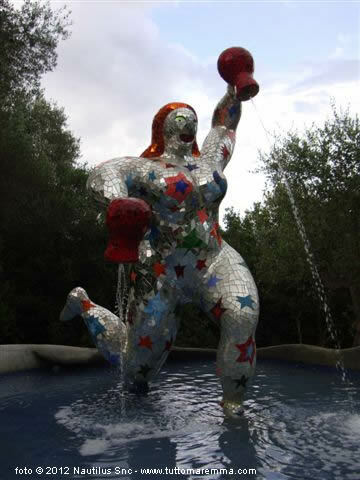 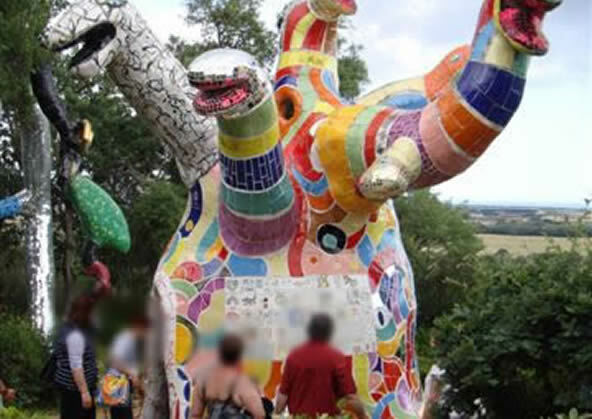 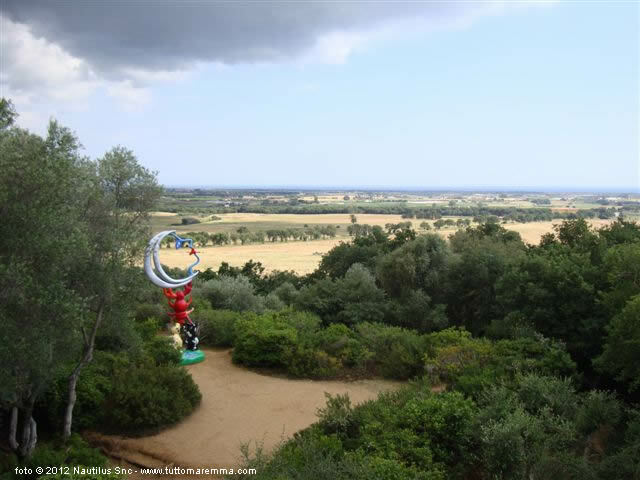 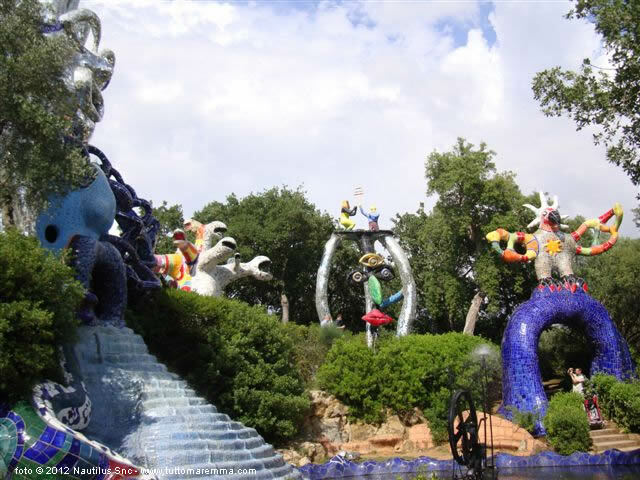 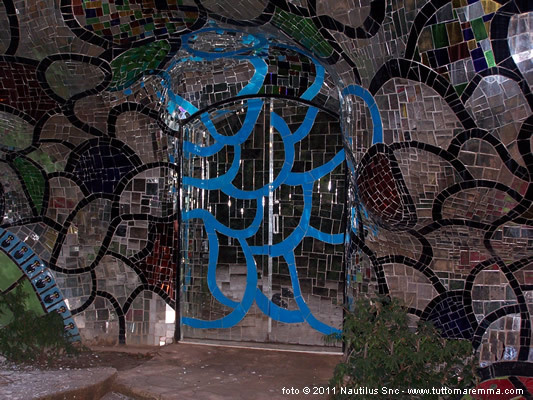 Niki de Saint Phalle has created this garden on the hill of Garavicchio near Capalbio in Tuscany. 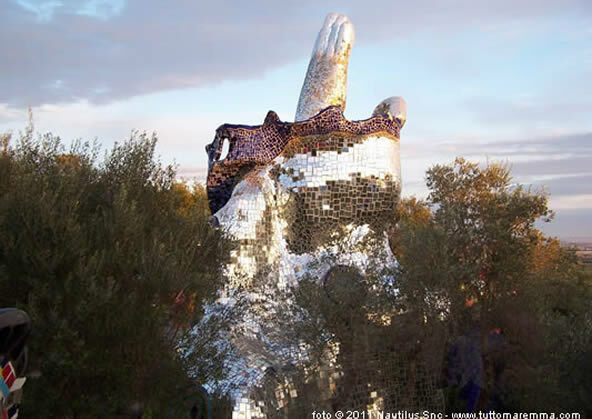 Tarot Garden is a true one and just museum perfectly inserted in the landscape of the Maremma, a park of exceptional fascination, one of the ambient art examples more important in Italy. 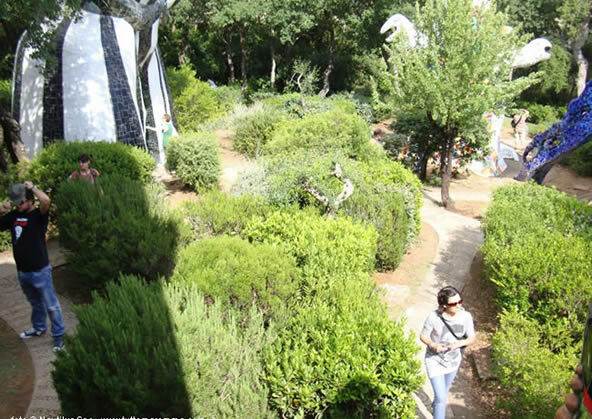 The garden was opened to public in 1998 after 19 years from its inception, and Niki continues to work on it. 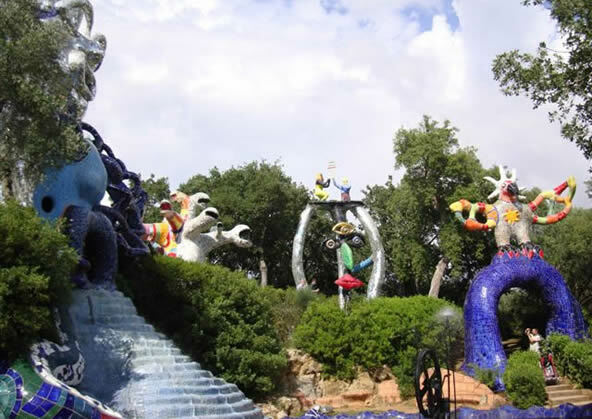 It could be said that the Tarot Garden is never completed. For its particular aspect, its delicacy, and with the scope of preserve the magical atmosphere of the Garden, the visits are possible only in some periods of the year (of usual from april to october). 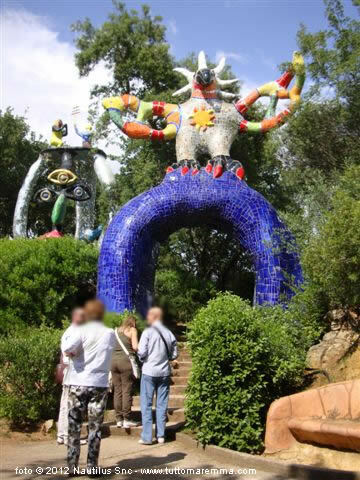 Actually the Tarot Garden in managed by the Foundation "Il Giardino dei Tarocchi", a private foundation that uses the profit for the continuos cures of maintenance of which this park it needs.